Well I made it, I’m on the North East Point with all my gear. I’ve been back to the Atlantic Cove site today and, despite all the gear we brought, we can’t get either a stable connection between both DXPedition sites via UHF, or a connection from Atlantic Cove to a cellular site due to a major Bell Mobility outage at Neil’s Harbour. 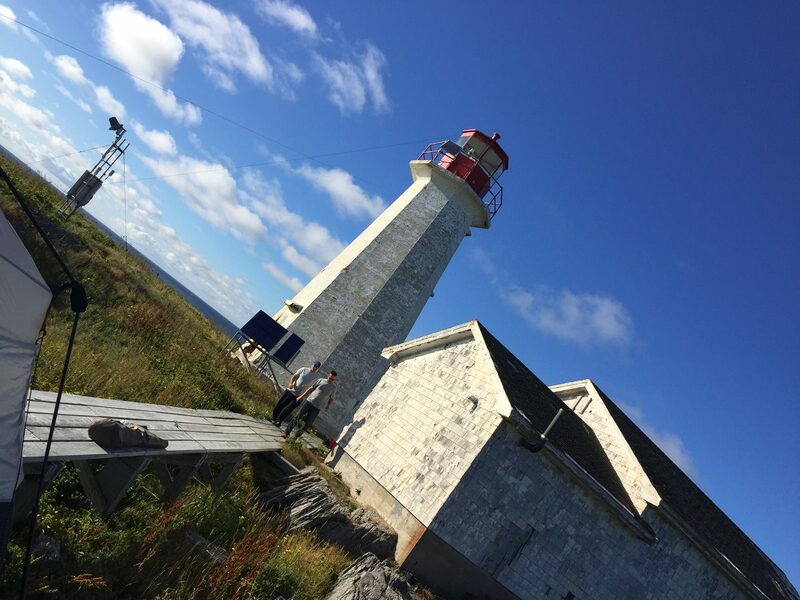 That said, the sites are able to communicate with HTs using the VE1CBI VHF Repeater on the top of Cape Smokey, which is owned and operated by the Sydney Amateur Radio Club. As well, since there is no way that a boat can get gear to the North East Point, everything has to come by chopper. So since Pat, N1IEN will be making frequent trips to get water and gas, he’ll be ferrying USB sticks with the logs of the operators in the Atlantic Cove, and I’ll post them, as well as the logs from the North East, as often as I get them. I did the first dump today and the results are available on ClubLog for checking. The folks on shore, as well as Pat, N1IEN, are working as hard as they can to get the rest of our gear over to both sites so we can start going full-boar. As it is, we’re running 4 stations full steam ahead, and Lee, WW2DX, is setting up the EME gear. I haven’t even had a chance to touch a running radio yet, so if you’ll excuse me, I’ve got some DX to catch. More to come later. Addendum Aug 20 1712z: There have been those saying their contacts are missing in the logs. When the ops got their stations going, they just started logging. Some contacts may have been missed when the network was established. I will go looking to see if we missed a database somewhere. Everyone’s patience is appreciated 🙂 VA3QR/CY9. Looks like 17m cw is missing. My QSO yesterday at 2006z, and also other LA’s working around the same time is missing. Hope you can recover the Q’s. 73 and keep up the good work! I heard you on 2 meters yesterday with va1rm hopefully all the bugs will be worked out and you guys will be able to make many contacts . We’re working on it as best we can. ty es 73. You’re doing absolutely fine guys, even if most of my qso’s are missing, I know you will post them asap if you can. No problem. Got you on most band after 1 or 2 calls, but 160 seems to be a problem, both ways I recon. Take good care of yourself, I’ll be watching for you on 160 the rest of the times, since there seems to be no chance for 10 and 12m.